He said the harassment complaint against him was not only unfounded, but politically motivated. NDP MP Erin Weir rises during Question Period in the House of Commons on April 12, 2016. 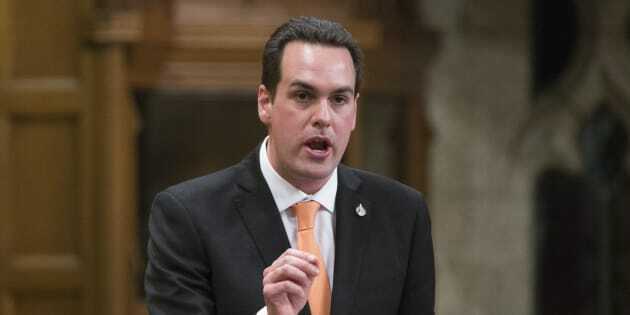 OTTAWA — NDP Leader Jagmeet Singh kicked Saskatchewan MP Erin Weir out of his party's caucus Thursday as he tried to close the book on what has become a messy and increasingly combative controversy for the third-place New Democrats. Indeed, it wasn't immediately clear if Weir planned to quietly accept his fate, or whether he planned to continue to push back against what he has characterized as a politically motivated and unjustified smear campaign from within his own party. Singh's decision to eject the Regina MP followed a three-month investigation that started when fellow caucus member Christine Moore reported hearing second-hand allegations that Weir had harassed several women. However, he added, "when Mr. Weir was told his advances were unwanted, he stopped.'' Based on those findings alone, Singh said, it appeared rehabilitation would be adequate to address the problem and ensure it did not happen again. But that was before Weir alleged in a statement and in media interviews Tuesday that the complaint came from a member of former leader Tom Mulcair's staff in retaliation for Weir's desire to question the Trudeau government's national carbon-tax plan. "Recent developments demonstrate Mr. Weir is unwilling to take appropriate responsibility for his actions and therefore any rehabilitative approach is now untenable,'' Singh said. It wasn't until a CBC report that said an unidentified complainant had accused Weir of speaking to her in an angry and belligerent way did he come to the conclusion that a member of Mulcair's staff was behind the complaint, it continued. "The investigator made a general finding of 'sexual harassment' that Weir had probably sat or stood too close to people at social events and engaged them in conversation more than they wished to speak with him,'' it said.